Customer Information: Tuesday 14th May - Swimming Pool will be closed from 9 am and all Dryside facilities will be closed from 7 am - 4 pm. The Centre will be hosting Fife Schools Triathlon during this time. Access to individual activities may vary and are subject to timetable restrictions. Last Swimming Pool entry is 45 minutes prior to centre closing. No children under 8 years old should be left unaccompanied within our centres. Located on Carslogie Road, just as you enter Cupar from the west, the A91 leads directly on to Carslogie Road. Cupar Sports Centre is situated in the grounds of Elmwood College. After the main entrance to the college continue straight ahead and you will find the sports centre at the rear of the college building. There is ample free parking. We’ve got a bumper Easter programme on offer at Cupar Sports Centre, with a range of activities to suit the whole family. Team games, swimming, fun activities, sports and much more! 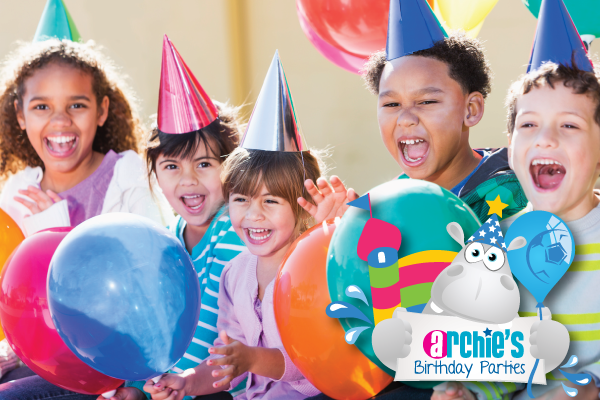 Our parties offer a great combination of fun and activities which are designed to get kids active and have a birthday experience they won’t forget. We offer pool inflatable and sports hall bouncy castle parties. Pool Inflatable hire time slots are: Sunday 1.00pm - 2.00pm. Sports Bouncy Castle parties times are based on sports hall availability. A party consists of 60mins activity time and a room for hosting refreshments after your activity (60mins). Come along with friends and take advantage of this great offer and enjoy a game of squash, badminton or mini tennis. Adults participating with juniors only pay £2 too! Football is only £1.00 for juniors aged 17 and under every weekend and during school holidays. Come along with a group of friends and enjoy a kick about on our 3G astroturf pitch . Accompanying adults can also join in the fun paying only £2 too!